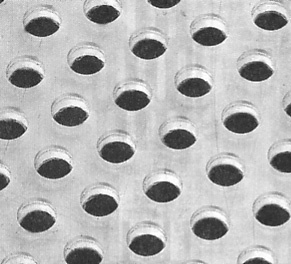 Perforated Plastic offers a lower cost alternative for applications typically requiring stainless steel due to highly corrosive environments. In addition, perforated plastic is an ideal alternative where minimizing weight is important. Standard Sheet Size 48" x 96"